There is something so very special about caring for a woman and her baby in her own home. There is a sense of peace and sacredness in her own space in the days following her baby’s birth. 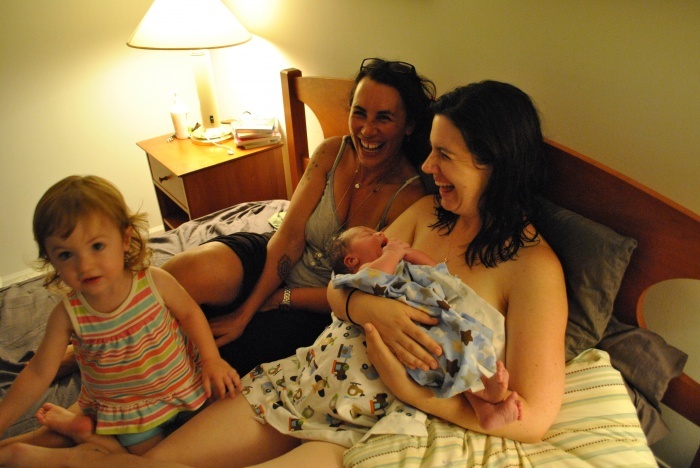 No matter if this is her first or fifth baby, that energy is still present and revered. I will come to her 2-3 times over the first three weeks after she has given birth. Usually I find her in bed, with baby in her arms, with a list of questions written down. 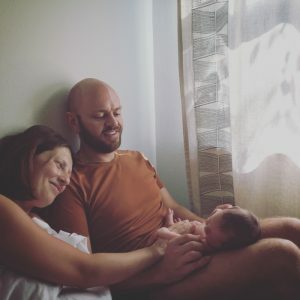 The most important part of this first postpartum visit is not just the medical check up for her and her baby, and to review that list that she prepared, but to be there to listen…..
To hear how much she is in love with this little person she only just met. To have her tell me how well, or not, the baby is nursing. She’ll tell me how much more in love she is with her partner after seeing them in this new role of parent. And to talk about her birth experience; her perspective, my perspective her partners perspective. It is at this time we process her birth, together. And laugh and sometimes cry. My role at this time is make the space for her. I feel every woman should have this opportunity to do this with her caregiver, but unfortunately we live in a society where this postpartum time is not honored, but rushed. Rushed to get to the store, to the pediatrician, to see family, to leave her home. 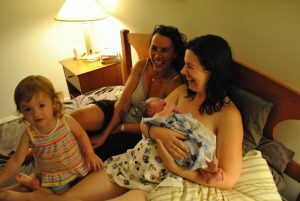 I have certain “rules” about what my clients can and cannot do postpartum. My clients know I don’t want them leaving the house, let alone their bedroom for a few days. There shouldn’t be a rush to do anything. She just needs to be. With her baby. Nursing, Loving. Nurturing. Learning to become a mother of this child and learn and be aware how much room her heart has to love another child. I am blessed to be able to witness the transformation of this woman in the time that I’ve spent with her over the months of her pregnancy to the weeks of her postpartum and see her as the mother that was waiting to be born….. I love this. I wish more women made themselves a priority and secured support for the weeks after baby arrives. I was very lucky to have my husband home for the first month with each baby. Thanks for all you do for women Dina.